Good Friday commemorates the crucifixion of our Lord. It is known as “Good” because of the new life brought about by Christ’s victory of the cross. The principle theme of Holy Week is Jesus’ passion: “No one has greater love than this, to lay down one’s life for one’s friends” (John 15:13). Jesus gives his life to save us from sin and death. The New Testament draws heavily on the sacrificial of the temple in describing the unique role of Jesus in bringing salvation through the cross. Paschal lambs were sacrificed at Passover, and Jesus’ death on the cross was seen in the light of that temple practice. He is the true paschal Lamb offered, finally, for the sins of the whole world. Without that background of temple practice, some of the language about Jesus’ death and its significance will not be clear. It may be helpful, therefore, to take time this week to study the temple in the days of Jesus. During Holy Week it is also important to see the cross from the perspective of the love that God has for us. Jesus’ death on the cross shows us how much God loves us, for in the words of St. Paul, “For I am convinced that neither death, nor life, nor angels, nor rulers, nor things present, nor things present, nor things to come, nor powers, nor height, nor death, nor anything else in all creation, will be able to separate us from the love of God in Christ Jesus our Lord” (Romans 8:38-39). It is because we share Christ’s victory over sin and death that we face the cross with feelings of sadness and remorse, but also with deep thankfulness for what we have been given. Good Friday is about triumph. The cross we bear precedes the crown we wear. 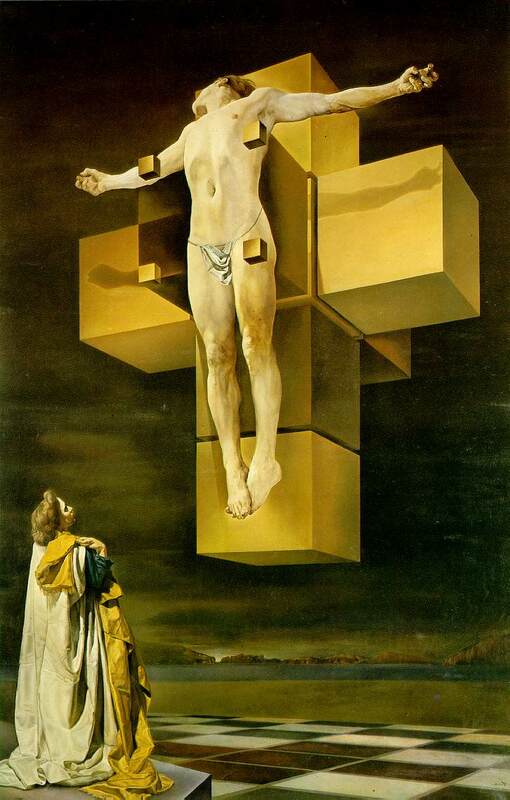 To be a Christian one must take up his cross, with all its difficulties and agonizing and tension-packed content and carry it until that very cross leaves its mark upon us and redeems us to that more excellent way which comes only through suffering. Martin Luther King, Jr. This entry was posted in Feast Days, Holy Week, Lent and tagged Good Friday, Holy Week, Jesus, Martin Luther King Jr.. Bookmark the permalink. So many proponents of the Gospel neglect the cross that we must bear. Thank you for this teaching.